It’s becoming that time, the end of the year. I have been in three places at the end of the year. I have been the student, the teacher and now I am the parent. As a student, I didn’t comprehend what I was leaving behind. I had amazing educators but I never walked out of the door in tears. As a teacher of 5th grades, I had such sadness seeing my babies walk down the hallway the last time, they had grown up and I was letting my baby birds fly. 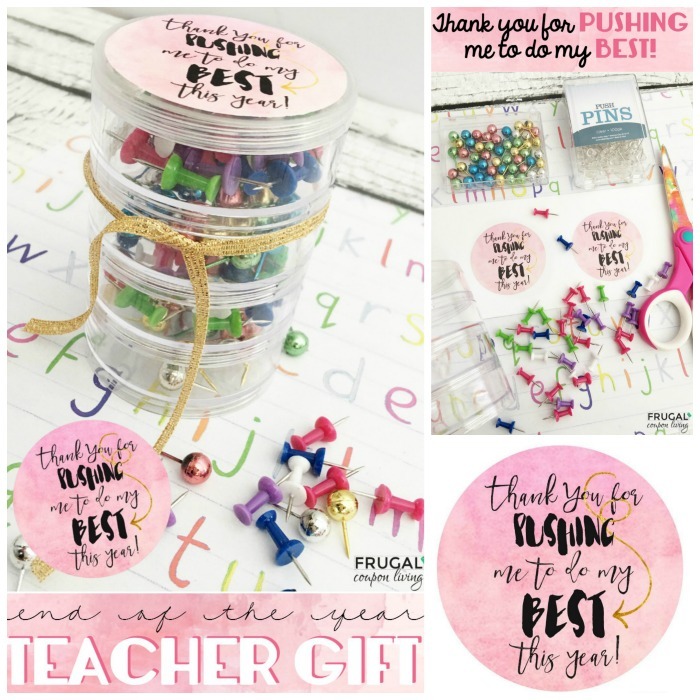 As a parent, having been in the previous place I have gratitude toward my children’s teachers. I know how much they care for my girls and I know how important their students are. With that, I want to thank them any and every way I can. 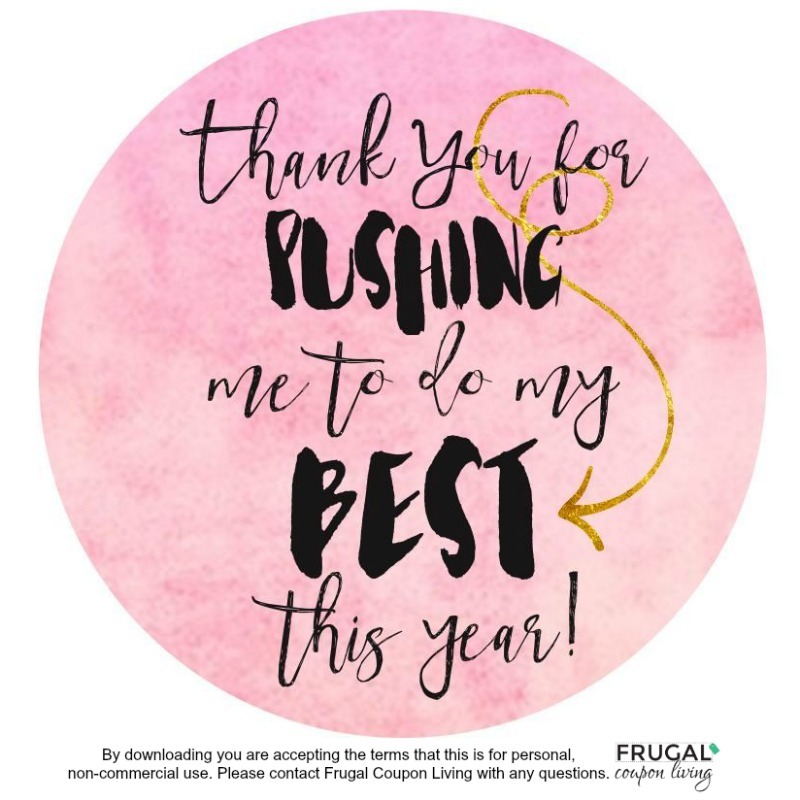 We love this end of the year printable – Thank you for PUSHING me to do my BEST this year! 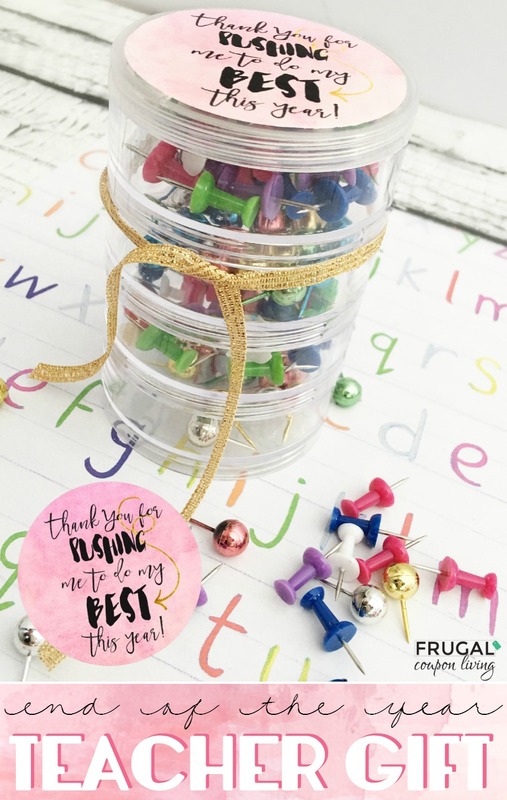 We find this to be the sweetest and a thoughtful gift to accompany anything else. Open the Push Pin Printable in your PDF viewer. Place card stock in your printer. 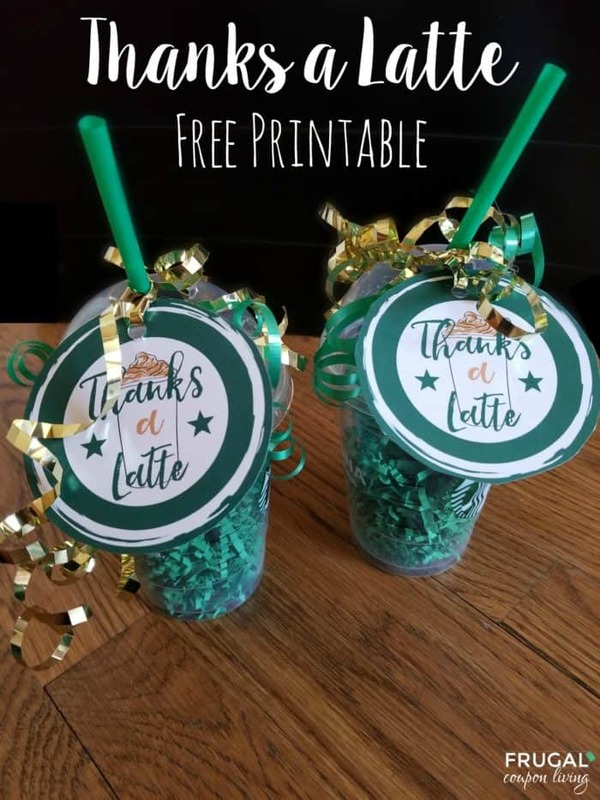 Cut circles with scissors or use a 2.5 hole punch if you have one. Spray the back of your image with spray adhesive or use a glue stick. Press cut image onto the top of your container. Tie with a ribbon and enjoy! 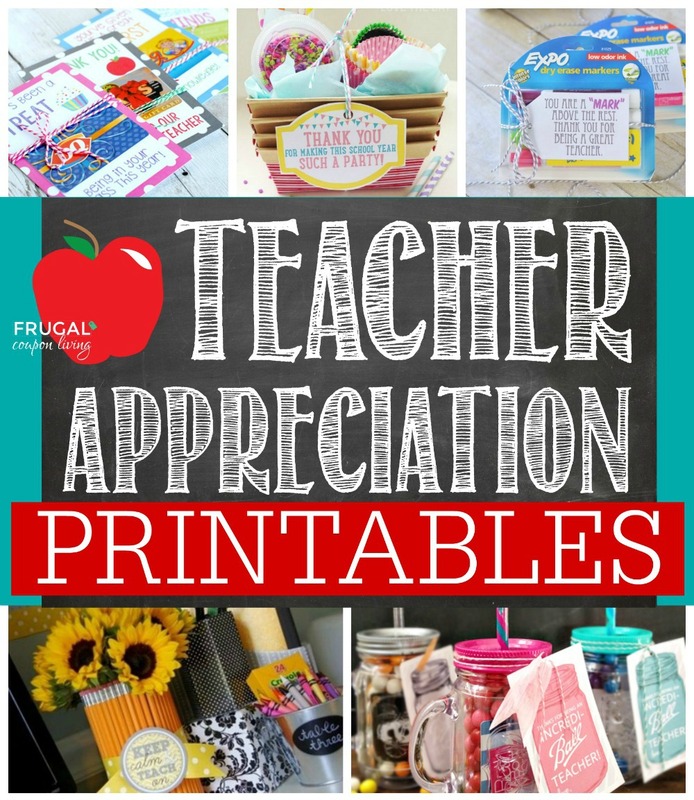 Also check this round-up of Easy and Creative Teacher Appreciation Gifts. Pin to Pinterest.